The new BenQ W3000 Home Cinema Projector with 100% Rec. 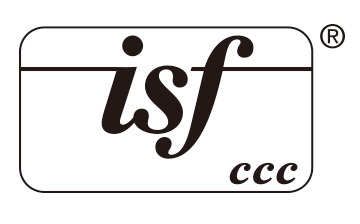 709 colour. Rec. 709 is the international HDTV standard 709 to guarantee accurate replica of cinematic colour as the director intended. The New BenQ W3000 fills the gap between the Epson TW5300 (entry level) and TW6700 which is still no replacement for the TW8200 so now you have to step up to the TW8300. We can make a great case as to why it's a a much better buy for the BenQ W3000 especially considering included Rec. 709 class. New 6X RGBRGB colour wheel as with all new 2016 models has a precision-tuned coating and colour segments. The above image is simulated, nothing works with sunlight shining on it. 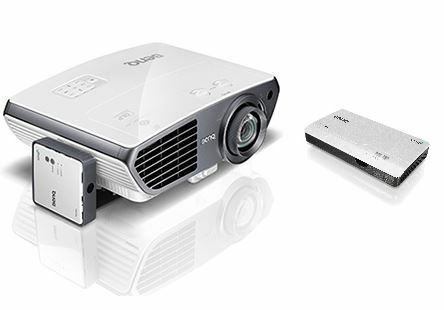 BenQ are now fighting back for market share, the W3000's baby brother W2000 winning projector of the year is a case in point. Displays that conform to Rec. 709 can reproduce colours correctly in all images through an entire movie. While most projector manufacturers choose a saturated colour tone bias to increase colourfulness, resulting in colour accuracy loss, the W3000 achieves the Rec.709 colour standard. The process of building a projector includes many variables such as lenses, lamps and colour wheel coating. During the production Line Quality Control all Three colour adjustment stations in the production line perform final checks on every single unit. 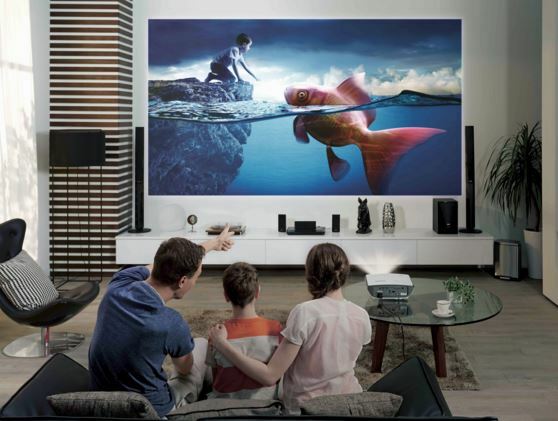 By combining pioneering BenQ innovations such as interchangeable six-segment colour wheels with DLP BrilliantColor™ Technology, BenQ projectors accurately reproduce hard-to-match colours such as skin tones and precisely render Rec.709 and sRGB standards. Lens shift +/- 10% vertical with a short-throw means you get a 100 inch image from 2.5 to 3.3m. Zoom range of 1.6:1 makes installation of the W1110 very flexible. Stream uncompressed 1080p content, even in 3D with a wireless range up to 100 ft.
theatres. With DLP dominating the worldwide projector market with over 50% share, BenQ is today the #1 best-selling DLP projector brand, delivering unmatched world-class performance. The incredibly durable micro-mirrors of the DLP chip and the nearly-sealed DLP engine design mean that BenQ DLP Projectors stand the test of time without any loss in picture quality. Eliminating dust build-up and heat damage, BenQ projectors shine year after year and look as good as new with a simple lamp change. Clear Image Size / Maximum Image Size 36"~196" / 300"
The BenQ W3000 like the other models in the range W1110, W2000 & W8000 (now also full 4k W11000/W12000) offer a lot of performance and features for the price. They don't fudge their specifications either so what you buy is what you get. With installation flexibility and fast image processing then check out the overall value being offered by BenQ and you should be impressed. If you're not completely happy you can swap it as per our guarantee. We're that confident BenQ are on a winner with their new 2017 range including the W3000 projector. ..With 3 Year BenQ AU Warranty included ($79 value)..